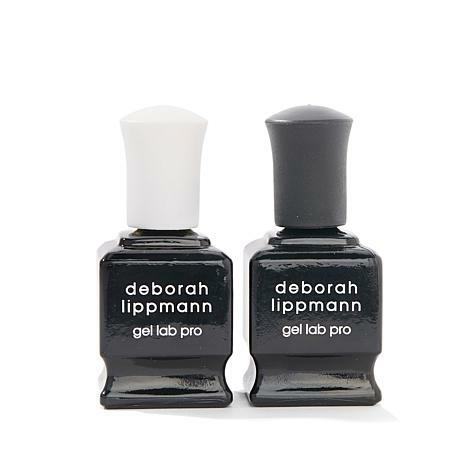 Apply 1 thin layer of Gel Lab Pro Base Coat and wait 2 minutes to dry. Apply sparingly to avoid uneven coating. 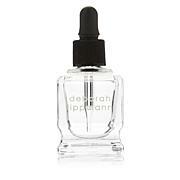 Follow with 2 coats of nail color (sold separately) and wait 2 minutes to dry after each coat. Finish with a thin layer of Gel Lab Pro Top Coat. Ingredients: SD Alcohol 40-B, Butyl Acetate, Polyvinyl Butyral, Ethyl Acetate, Tosylamide/Epoxy Resin, Adipic Acid/Neopentyl Glycol/Trimellitic Anyhydride Copolymer, Trimethyl Pentanyl Diisobutyrate, Silica, Nitrocellulose, Isopropyl Alcohol, Glycidoxypropyl Trimethoxysilane, Methacryloyl Propyltrimethoxysilane, Methyltriethoxysilane, Mercaptopropyltrimethoxysilane, Benzophenone-1, Dimethicone, Biotin, Water/Aqua/Eau, Camellia Oleifera Leaf Extract, Aucoumea Klaineana Resin Extract. My manucurist used this as directed and my polish lasted two weeks and counting. I used rubber gloves when cleaning. I removed the polish for a color change. Great product. The gel base and top coat are phenomenal! I use them with another brand of polish, and it stays on all week with no chipping! Have never had this experience even with a professional manicure. I have one nail that has a vertical split. Nothing has helped it, but this system is allowing the nail to grow out! Ive ordered the top and base several times and cannot say enough good things about them. Also keeps me from getting stress splits on the sides of my thumbs. Im allergic to salon gel and acrylic, but have had no problem with this product. No other base and top coat can compare! These give the greatest manicure every time, and I wouldn't ever be without them!